ETM has partnered with global value chain experts, LEI, and local process improvement leaders, GBMP, to provide world-class supply chain help. If we are committed to increasing our customer’s competitiveness, we need to be willing to look at waste throughout the supply chain – from the mill to the end-customer. Working together, we can analyze where value is created and focus on what is causing the wasted material and time. As a team we can trade investment costs vs. cost savings so every partner in the supply chain wins. How quickly can information flow from the end-customer to the raw material supplier? 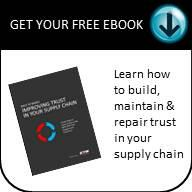 How many places throughout the supply chain is extra material added to reduce supply risk? How do we use new technology to eliminate the overhead costs needed to manage the information flow? How can more efficient information flow translate to faster response times and reduces costs for all? In this example, we have identified 34.1 days of cycle tie for 4 minutes of value time with 61 steps supporting 9 value creating steps. The next step is to reduce cycle time to 16 days with only 30 steps with the ultimate goal of having the cycle time match the value time, only working on the value creating steps.